We report a 34-year-old woman who, soon after a caesarian delivery with anesthesia by intrathecal bupivacaine hydrochloride injection, developed severe headache and high fever. 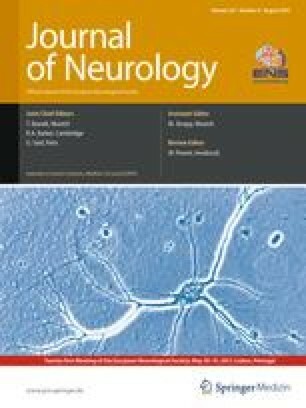 Whereas C-reactive protein in the serum was normal, the cerebrospinal fluid (CSF) examination showed an increase in cell count (3,040/mm3; mostly polymorphonuclear cells) and total protein (401 mg/dl), but only mildly decreased glucose content. No organisms were found by CSF staining and culture. Brain MRI scans were normal. Within 10 days after onset, her clinical conditions and CSF returned to normal. Considering previous reports, intrathecal bupivacaine hydrochloride seemed to be the most likely culprit for the development of chemical meningitis in our case.